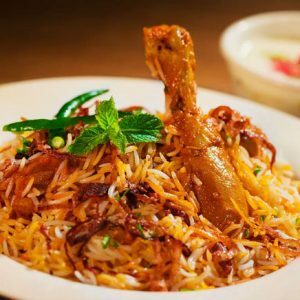 Chicken Biryani is a very popular dish across India. 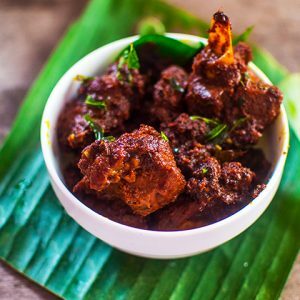 For those who want something different in this delicious dish, here is a wonderful and tasty variation from the Chettinad cuisine. The Chettinad Chicken Biryani is made using Seeraga Samba Rice, which is an aromatic & flavourful rice variety in Tamil Nadu. Seeraga Samba is a short-grained rice variety resembling seeragam (cumin / jeera) and hence the name. This biryani is best served with raita or any gravy. Soak the rice for 1/2 hour. Keep little mint and coriander leaves separately. Take a mixer jar, add the pepper,red chillies, cumin seeds, cloves, cardamon, cinnamon stick, cashews, khus khus, fennel seeds. Sprinkle some water and grind them to a fine paste. Heat a heavy bottomed pan under medium flame. Add oil, ingredients given to temper. Add the chopped onions, green chillies and fry till golden brown. Add the ginger garlic paste, ground paste, tomatoes and needed salt. Saute them until a thick gravy is formed. Add the cleaned chicken pieces along with mint leaves and coriander leaves. Mix well until the masala is coated to the chicken pieces. Add 3 cups of coconut milk and 1 cup of water and boil it. Add the soaked rice and cook them to 1/4 th consistency. Sprinkle mint leaves, coriander leaves and ghee on top of the rice. Remove from flame and cover the vessel. Heat a tawa under medium flame and place the biryani vessel on top. Remove from flame and add little coriander leaves and squeeze some lemon juice and mix well. 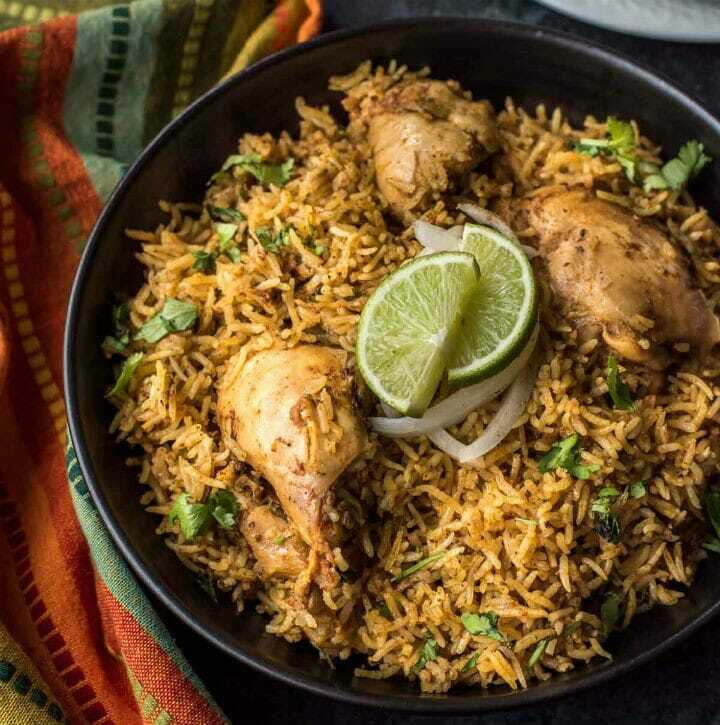 Feel free to comment or share your thoughts on this Chettinad Chicken Biryani Recipe from Awesome Cuisine.